One of the most common posts seen on hacker forums is “Hello, I’m new and I want to be a hacker.” Any aspiring hacker must learn coding, networking, system security, and the like, and increasingly, hacking forums are responding to this demand and providing tutorials for those who wish to learn the basics quickly. Hacking forums have two main kinds of tutorial sections, one open to any forum member and the other exclusively for VIP members. In this post we will review two case studies from closed forums, one from the onion network and the other from the Deep Web. The first tutorial, taken from a closed forum in the onion network, is actually four tutorials wrapped together to teach POS (point-of-sale) hacking. It includes a list of essential malware and software for POS hacking. While it starts with a basic overview of POS and of RAM (random-access memory) scraping, it very quickly dives into explanations that require an advanced understanding of hacking. The second tutorial is a basic PayPal hacking tutorial, taken from a closed forum on the Deep Web and oriented toward noobs (beginners). It is actually more about scamming than hacking. It notes that one way to get user details is to hack vulnerable shopping sites using SQL injections and explains how to check whether the stolen user details are associated with a PayPal account. It also mentions that user details can simply be acquired from posts on the forum. What is really interesting is that this practical forum has many tutorial sections and sub-sections (we counted six), which raises an interesting question: Why do hackers share? Self-promotion – One of the differences between regular hackers and good hackers is reputation. The most obvious way for hackers to improve their reputation is of course to perform a good hack, but they can also enhance their reputation by being part of a well-known hacking team or displaying vast knowledge, such as by publishing tutorials. It appears that Red, a junior member of the onion network forum who is not known and has a small number of posts, is increasing his value in the eyes of other forum members and site administrators by publishing tutorials, including the POS tutorial. This improved reputation can give him new privileges, such as access to the forum’s VIP sections. In most cases, tutorials shared for this reason range from beginner to intermediate level and can be understand by almost any beginner. Site promotion – Commerce in hacking forums hiding deep in the Internet works like any other free market: if you have the right goods, people will come and your business will boom, but if your shop does not look successful, customers will stay away. 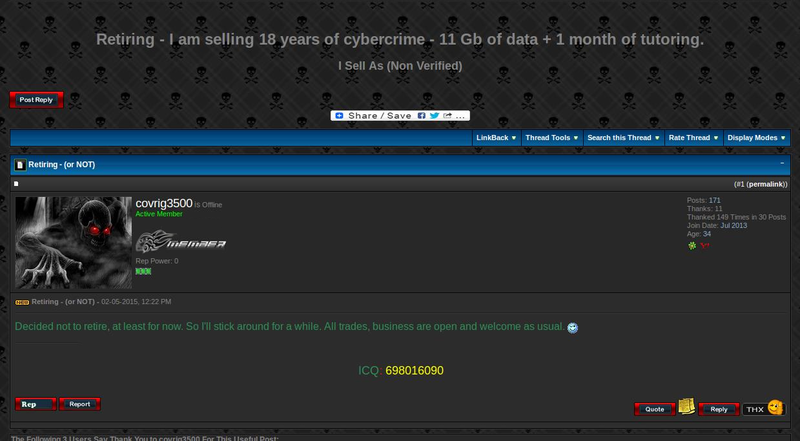 Hacking forums, like other businesses, compete for the attention of their target audience. The PayPal tutorial was published by BigBoss, a site administrator, who was probably seeking publicity for the site. To ensure that there is a large number of tutorials on the site, the administrators publish their own from time to time. These can be very simple (as in this case) or very specialized and technical (such as those offered in closed forum sections). Financial gain – As we noted, these forums are businesses, and like any business, they need to sell products in order to make a profit. They can do this by creating VIP sections with unique content (such as special tutorials) open to paying members only, as opposed to VIP sections based on reputation or Individual members also use the forums for financial gain and sell more concrete items—malware, credit cards, and the like—or more abstract items, like knowledge in the form of tutorials or lessons. In most cases the tutorials are very advanced, with extensive details, so that their creators can charge for them. Knowledge sharing — Sometimes, people share their knowledge without any ulterior motive. This is usually done in a closed section of a forum and only with prime members or a group of friends. In this case, the knowledge shared varies according to the group and can be state-of-the-art or very simple. In a society based heavily on information, we cannot escape the frequently rehashed concept that “knowledge is power.” As the technology world continues to evolve and the hacker community along with it, the need for “how to” knowledge is growing. Tutorials provide beginners with an effective gateway into the world of hacking and expose advanced users to new methods of operation. For us, the observers, they provide a small glimpse into developing trends, attack methods, methods of assessing hacker knowledge, and much more.